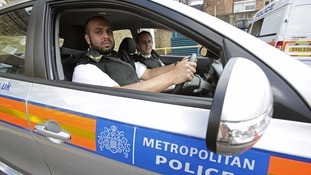 Perhaps not someone you'd expect to find in a police car, but one Walthamstow headteacher yesterday joined officers on patrol. Sacha Corcoran MBE, principal of the Big Creative Academy, is working to highlight the importance of good relationships between young people and police. A man has been jailed after his victim was found slumped in a car with stab wounds in east London. A man who fell asleep with a loaded gun on his lap while sat in traffic has been jailed. A filthy north east London burger shop has been shut down after inspectors found mouldy food and mouse droppings in its kitchen. A police inspector in charge of officers at a canal where a teen died insisted he was right not to ask the officers to go into the water. A 70-year-old shopkeeper is fighting for his life after he was repeatedly stabbed in his shop. Three people had to be evacuated from their home after their roof and supporting scaffolding collapsed in north east London.